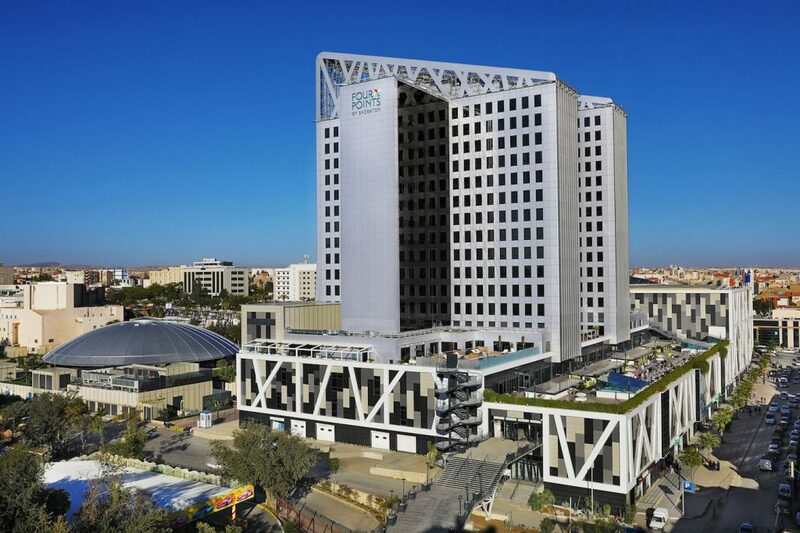 Marriott International has announced the opening of Four Points by Sheraton Setif in Algeria, in partnership with Prombati SPA owned by Rachid Khenfri. The 191-room hotel is conveniently situated in the centre of the city, providing easy access to Setif’s new tramline and Setif International Airport, which is 20 minutes’ drive away. The modern hotel towers high above the city and is situated in one of the most desirable areas in Setif, steeped in history and surrounded by national landmarks that date back to the Berber Kingdom and the Roman Empire. All the hotel’s contemporary and spacious rooms enjoy spectacular views of the city, and include 13 suites and inter-connecting rooms designed to suit the needs of families and large groups staying for an extended duration. The hotel also features the brand’s defining touches including complimentary bottled water in all rooms, fast and free Wi-Fi, and an energizing breakfast with fresh coffee that helps guests start the day. Every room has the Four Points by Sheraton Comfort Bed, fitted with a plush mattress and down duvet and pillows for the perfect night’s sleep. Other facilities at the hotel include a 24-hour fitness centre and an outdoor pool. Four Points by Sheraton Setif also caters to the needs of business travellers, offering four meeting rooms equipped with the latest technology, 24-hour business services and a dedicated events team tasked to deliver seamless business experiences. The hotel has two dining venues – Italian restaurant Brezza and Zitoune – a Magherbine-inspired all-day dining venue. Henricus Broekhoven, general manager of the Four Points by Sheraton Setif, said: “We are excited to open Four Points by Sheraton Setif set in a historic and sought-after part of the city.